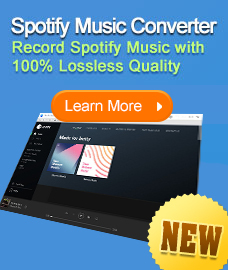 Go to "Advanced Setting" on the top right corner of the interface to adjust the effect of the converted file. 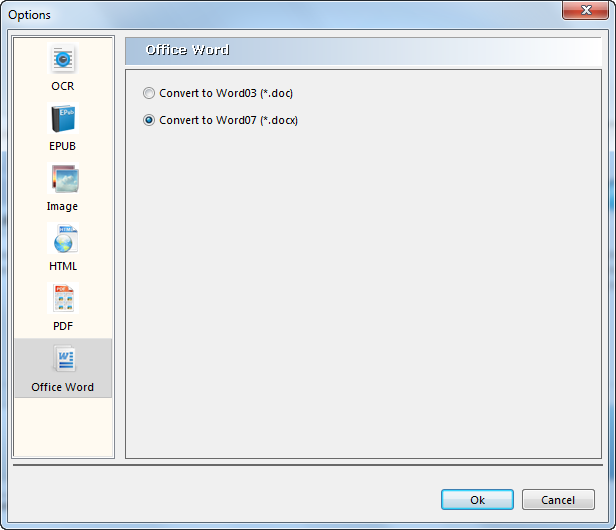 PDFMate offers settings for converting PDF to EPUB, image, HTML and PDF. 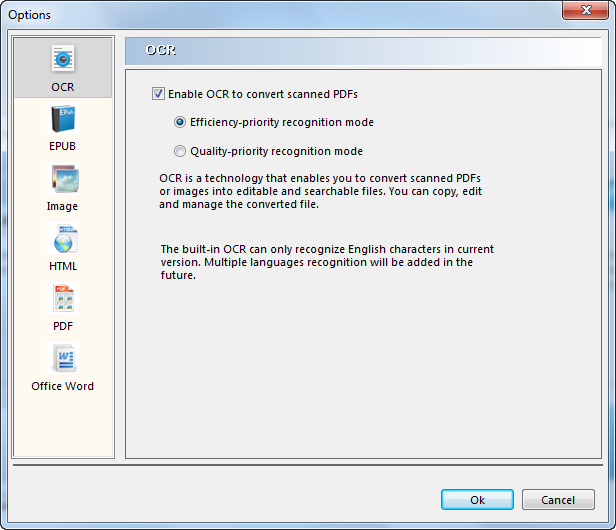 The built-in OCR technology enalbes you to convert scanned PDFs to editable files. Two recognition modes are available. Efficiency-priority recognition mode helps save time and quality-priority recognition mode secures a more accurate output file. 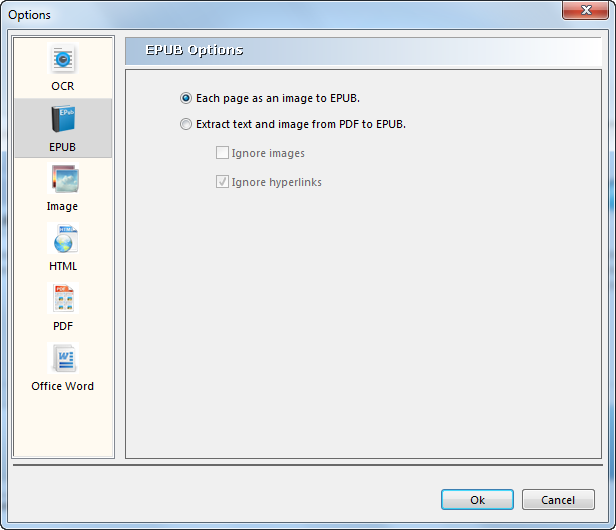 PDF to EPUB setting: extract all content from PDF to EPUB eBooks just the same with the original file or make new EPUB content without images, hyperlinks. 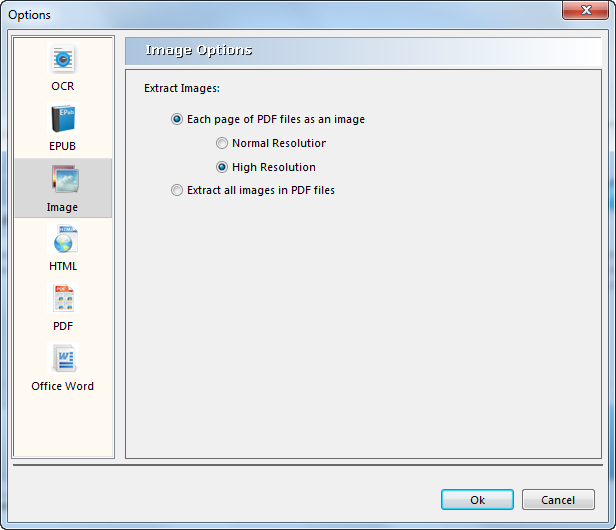 PDF to Image setting: convert whole PDF as image or extract only images of the original PDF files. In additon, you can also change the resolution of the output image files. 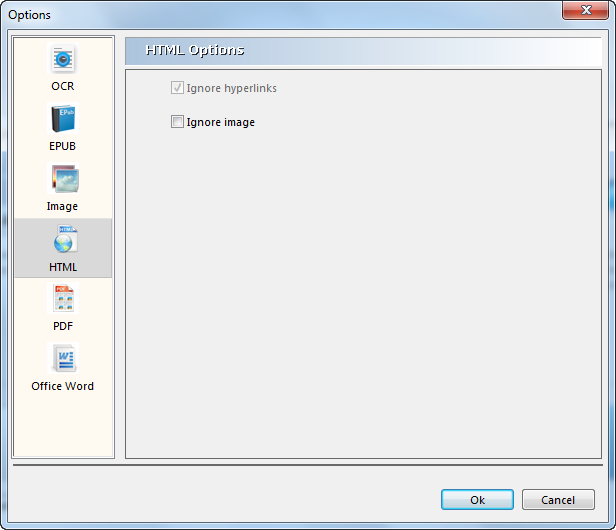 PDF to HTML setting: choose to ignore images, hyperlinks to make your own HTML from PDF. Please open the converted HTML files with Internet Explorer, Firefox or Safari as searchable index is not availabe in Chrome. 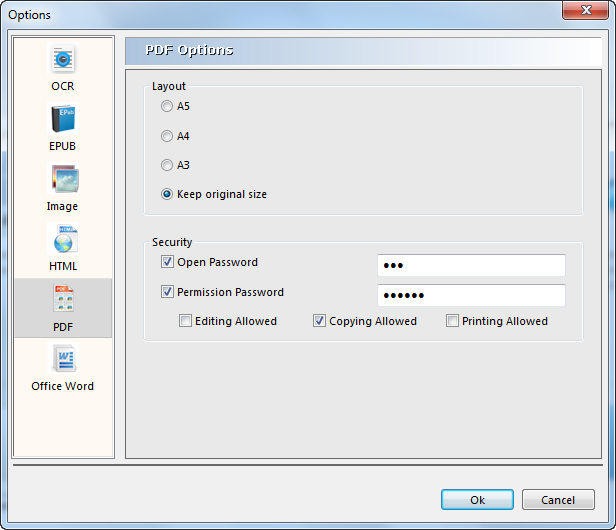 PDF to PDF setting: offer the option to set the PDF layout size as A3, A4, A5 or keep the origin size; give password protections when opening, copying, editing and printing PDF file. 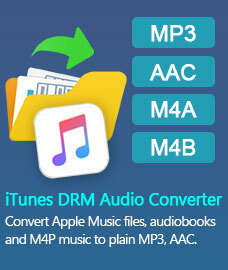 PDF to DOC setting: offer the options to convert PDF to doc. files or docx. files.